For inquiries and participation, contact us. In order to match and be discoverable by other users on BlockSeoul Connect, we additionally allow you to submit information about your company, project, job-related information or investment-related information. Device information. We may collect information about devices you use to access the Services and how you use the Services, such as your IP address and which websites you visited before accessing our Services.Logs. Our servers automatically record information created by your use of our Services to help us diagnose and fix technical issues, and to improve the the overall quality and user experience of our Services. Logs may include information such as your IP address, browser type, operating system, details of how you used our Services (such as your commands at the command line), diagnostic information related to the Services (such as crash activity reports), the referring web page, pages visited, location, your mobile carrier, device and application IDs, search terms, and cookie information. ‍We collect and use information from you in order for us to provide, protect, and improve our Services, and to provide you with a personalized experience when using our Services. For example, when you provide BlockSeoul Connect with your email address, we may send you updates on new Services and security notices. Much of the information you provide us through our Services is information that is designed to be made public, such as your BlockSeoul Connect Profile information, including your name, photo, title, company name, age, location and description. 13. And to prevent fraud and other prohibited or illegal activities. • We will notify you of any change in applicable policy.We will share personal information with law enforcement or other third parties if we: (1) are compelled to do so to comply with any applicable law or legal process; or (2) believe in good faith that disclosure is necessary to prevent physical harm, illegal activity, or harm to the rights, property, or safety of BlockSeoul Connect or our users. ‍Throughout this policy, we use the term "personal information" to describe information that can be associated with a specific person and can be used to identify that person. We do not consider personal information to include information that has been anonymized so that it does not identify a specific user. 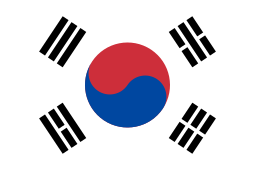 BlockSeoul Connect takes reasonable precautions, as described herein, to protect your information from loss, misuse, unauthorized access, disclosure, alteration, and destruction. We may store, process and transmit information in locations around the world -- we may process your personal information on a server located outside the country you live. Some information may also be stored locally on devices you use to interact with BlockSeoul Connect’s Services. We protect information by maintaining physical, electronic and procedural safeguards in compliance with applicable US federal and state regulations. We use firewalls and data encryption, we enforce physical access controls to our buildings and files, and we limit access to personal information only to those employees who need to know that information in order to process it for us. ‍We store information about your use of our Services for as long as we need it to provide you the Services. Note that we may retain your personal information as necessary in order to comply with our legal obligations, resolve disputes, or enforce our agreements to the extent permitted by law. ‍If you have questions or concerns regarding this policy or would like to access, change or delete your personal information, contact us on our support page or by emailing us at support@meetluna.com.